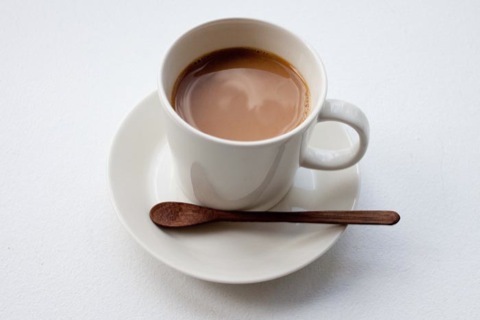 I wanted to do one big post dedicated to spoons so I can get it out of my system. 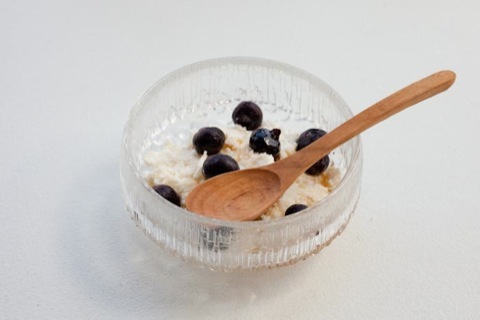 There was some great natural light this morning so I tried to work my breakfast around using our wooden spoons. Plus it’s a great segue to share some of the books I got while on our trip! My Mom makes homemade jam for us and there’s no better way to start your day than jam, butter, and toast! 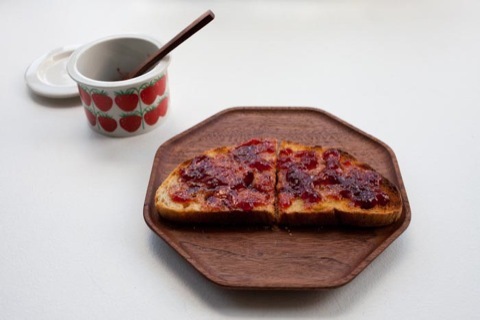 It tastes even better from the Arabia jam jar, and Masanori Oji’s Kakudo plate, which has raised edges to keep toast crumbs in. 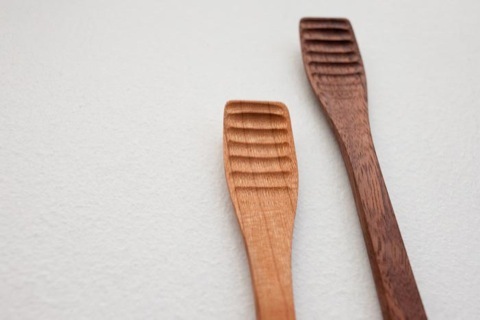 I got two jam spoons, one in cherry (for marmalade and gooseberry jams) and one in walnut (for darker jams like raspberry and elderberry). Peter from Studio Junction was raving about a little Italian shop that makes fresh Ricotta cheese daily. The next day he showed up with a big cup full of still warm ricotta cheese for us! It’s fantastic just on it’s own, but if you add some blueberries and a little maple syrup it makes a delicious treat. 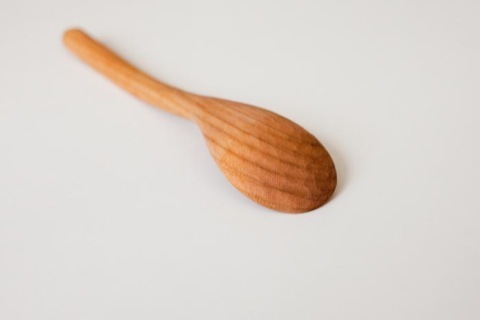 I just wanted to take a detail shot just to show off all the spoon’s hand tooled shaping. 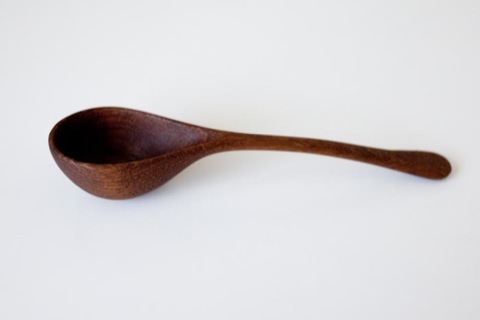 Alright not a breakfast photo, but I love this little spice spoon. This isn’t the best photograph to show how small it is, but it’s teeny tiny. 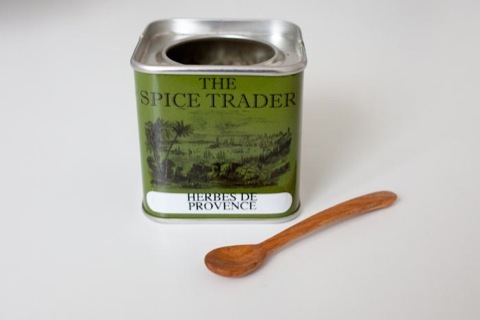 A few weeks ago Allison, the owner of the Spice Trader (on Queen St.) came to visit. 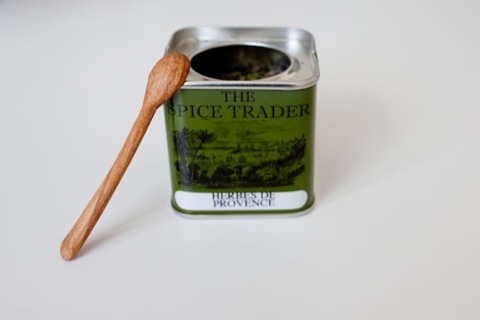 We really love specialty shops and that day Juli paid her a visit to get some herbes de provence, and some Chinese five spice. We’ve been putting the 5 spice on everything lately! 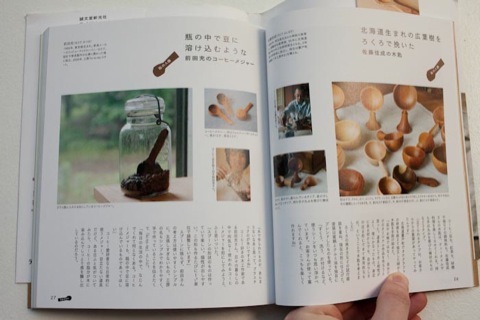 As I mentioned on a previous post, I came to Japan in search of handwork by Ryuji Mitani. 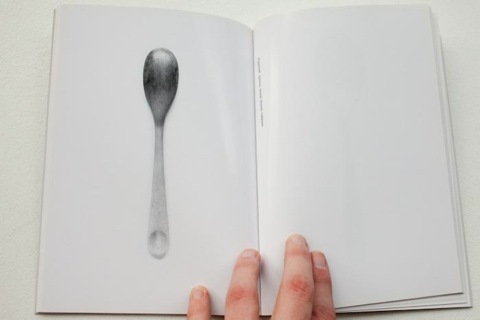 I found the spoons, but I also found a beautiful book about his work. 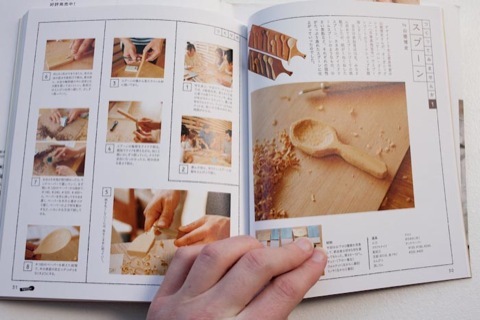 It’s all in Japanese, but the photographs are fantastic. 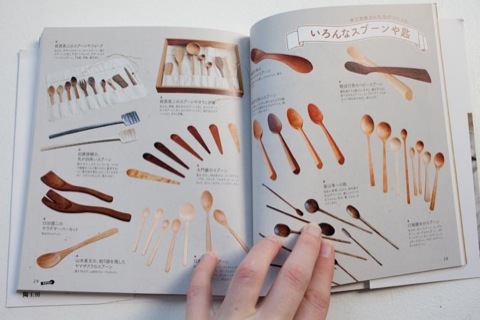 We recently got a visit from Nikole Herriott from online shop HerriottGrace, and wonderful blog forty-sixth at grace. She came by to share some of her father’s handmade spoons with us and to pick up a beautiful Finnish reindeer hide and handmade glass jar brush. 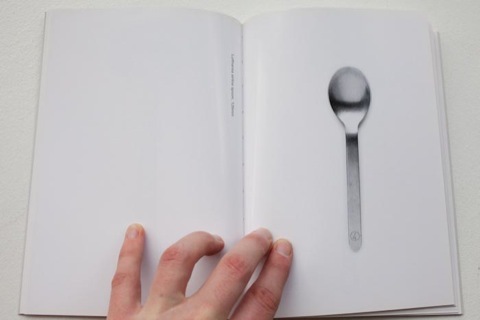 There was one spoon in particular that really caught my eye. 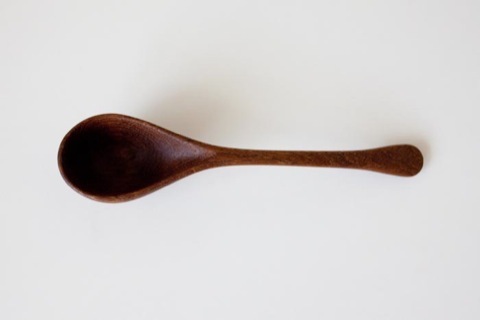 The teak coffee spoon. I just had to have it! 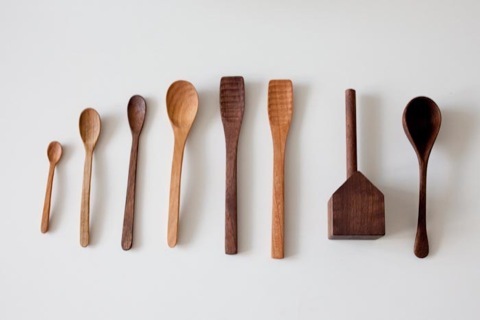 A single spoon can take anywhere from 10 hours to 14 hours to make, it’s really a labor of love. 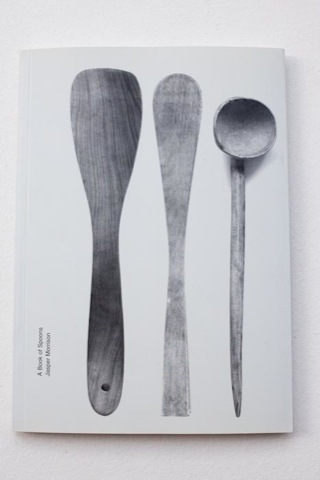 I’m going to be lurking on her online shop in case any teak flour scoops or ice cream scoops turn up. 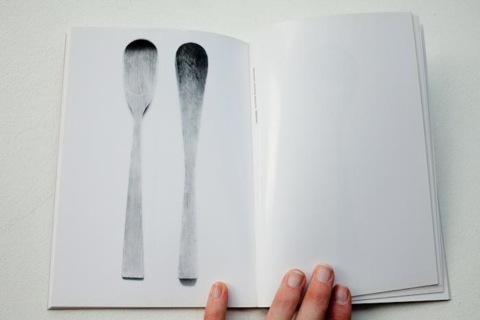 A book of Spoons, by Jasper Morrison. 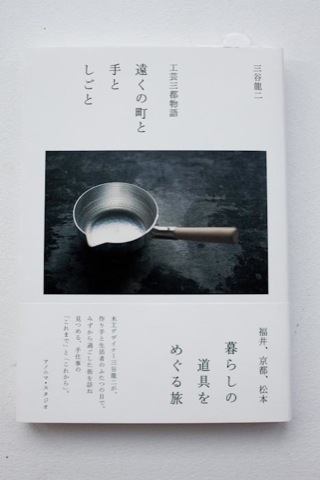 During our dinner at Masanori Oji’s home I took my book on Mitani and collection of spoons to share. 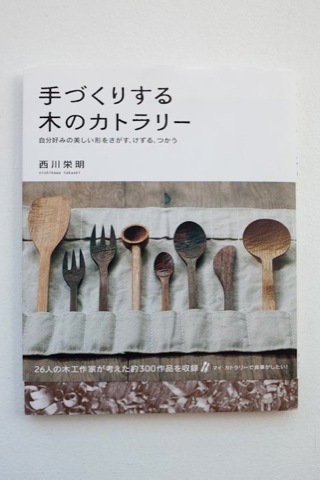 When Masanori went to get his spoons he also came back with an amazing book on Japanese handcraft cutlery. 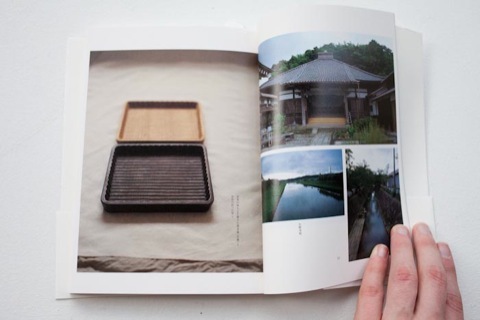 He was ridiculously kind and gave me the book, and it’s been on our coffee table ever since, so I can thumb through all the wonderful images. I really love the cutlery sets that come with nice fabric cases you can wrap up and take with you on picnics.